Guitar theory is nothing more than the study of music theory as it applies to the guitar. The same principles of music theory that apply to any other instrumentalist apply to guitar players as well. Melodic and harmonic progression, chord structure, scales, and note reading are examples of music theory study any musician will need to know. The application of these studies to the guitar specifically is what defines it as guitar theory. Another type of guitar theory is referred to as fretboard theory, which is the study of notes on the fretboard and their interval relationships. Guitarists who study the layout the guitar in this way do so in order to understand how scales are linked together and how they can be combined to create melodic variations for soloing. There are a great many books and videos specifically addressing guitar theory in this way. For most guitarists, this makes more sense because the visual plotting of the notes acts as a road map that makes it possible to navigate the fretboard in any key at will. Chord theory is another element important to guitar players. This includes understanding how to build chords on each degree of any given scale. Chords are the harmonic foundation of music and understanding the chords in any given key and how they are built is essential to understanding the harmonic foundation of the guitar. Any guitar theory method might entail understanding the subtle variations between scales. 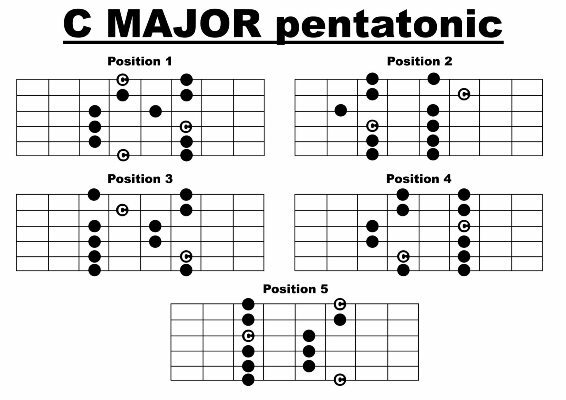 For example, compare the pentatonic scale to the major scale you’ll see that all of the notes in the pentatonic scale are also in the major scale, but the pentatonic is not just an easier to play version of the major scale. Since the pentatonic doesn’t include the half step interval, it lacks the “sound” of the half step, giving it its own “sound” character. Progressions built on these two scales will, as well as the melodies created, will have a different sound. Experiment with the two and pretty soon you’ll be able to hear the difference. Guitar theory, then, is applying the principles of harmony and melody in a visual pattern on the fretboard and using that theory to facilitate a better understanding of the guitar and as a way to navigate the guitar effectively for improvisation and composition.